I write about diet, exercise and living longer. 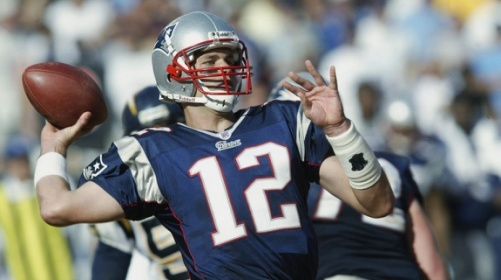 New England Patriots quarterback Tom Brady is playing in the Super Bowl tomorrow. What’s the connection? While I am big fan of the NFL and can’t wait for tomorrow’s game, I am writing about Tom Brady for totally other reasons. On January 16, I ran across the article Tom Brady Cannot Stop by Mark Leibovich in the New York Times Magazine. The piece offers some worthwhile insights into the charismatic character that is Tom Brady so often written about in broad strokes resulting in sketchy two dimensional pictures. Leibovitch accomplished much more than that. While I admired Brady’s excellence on the field and his wonderful apparently totally successful life, Super Bowl winner, multimillionaire, happily married to a supermodel, etc., I had no clear idea about him as a human being. Mark Leibovich fixed that. The entire idea about this blog is eating intelligently, maintaining our health with adequate exercise and living a long time with mental faculties totally intact. It appears that Brady is doing that off the field as well as he throws footballs on it. “Brady’s short-term goal, obviously, is to beat the Seattle Seahawks in the Super Bowl. His broader game plan involves becoming a kind of lifestyle pioneer in redefining how long a 37-year-old veteran can hold off his twilight. In effect, Brady is bent on nothing less than subverting the standard expectations of how long a superstar quarterback can play like one,” Leibovich writes. Amen, brother. I am a 75 year old guy working on holding off my twilight too. That’s what this blog is all about. Here is what the article says about Brady on vacation in the Bahamas. Remember, he is on a pre-training camp vacation going through all this. Guerrero has an understanding of the body and its functions that is rare if not unique. This is the kind of resource that can enable an athlete in a challenging sport like pro football to extend his shelf life. He and Brady have a business together called TB12 “that would institutionalize” his techniques. You can read more abut TB12 here. He might have something there. Peyton Manning, is only a year older than Brady, yet he seemed to be showing his age in the conference championship game. Afterward, there was talk about a quad injury, but again, this sounds like something that Guerrero would have handled for Brady. Back to the ‘vacation,’ where we learn some of Brady’s eating habits. So, clearly Brady works as hard off the field as on to keep his body totally intact and prolong his professional life in football. I agree with his strategy and admire his tactics. If we keep our eye on the goal of fitness and long life as well as Brady, we can also expect a similar success. Great article Tony! So many people assume that the success of others is based mostly on luck, but this goes to show that hard work is always the driving force… even when it comes to our health. Thanks for the reminder to keep working at it. Thanks for your kind words, Sunny. So glad you got the message. You get what you pay for. Have a great day! I wrote this two years ago just ahead of the Super Bowl. Thought it was worth revisiting ahead of this year’s big game.